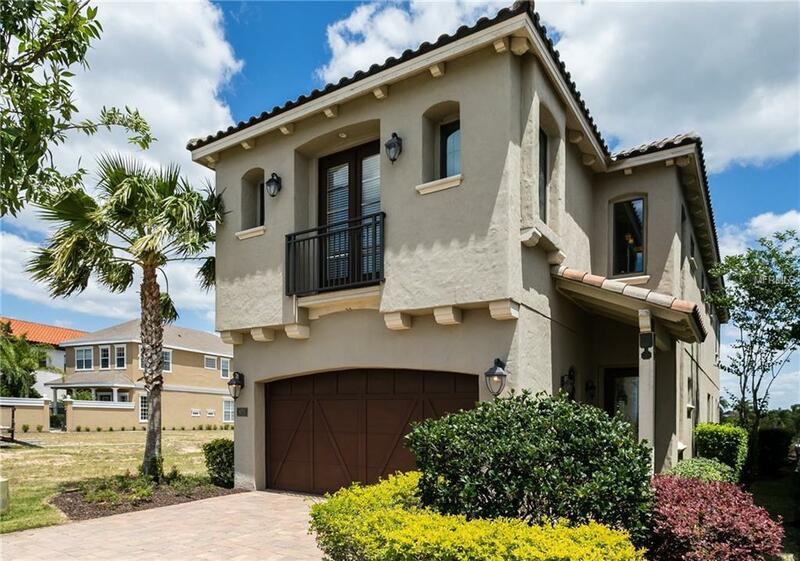 This lovely CUSTOM home, built by Reunion featured builder Hannigan Homes, with sweeping views of the Jack Nicklaus signature golf course offers a host of unexpectedly high end finishes and features that belies its attractive yet unassuming exterior. 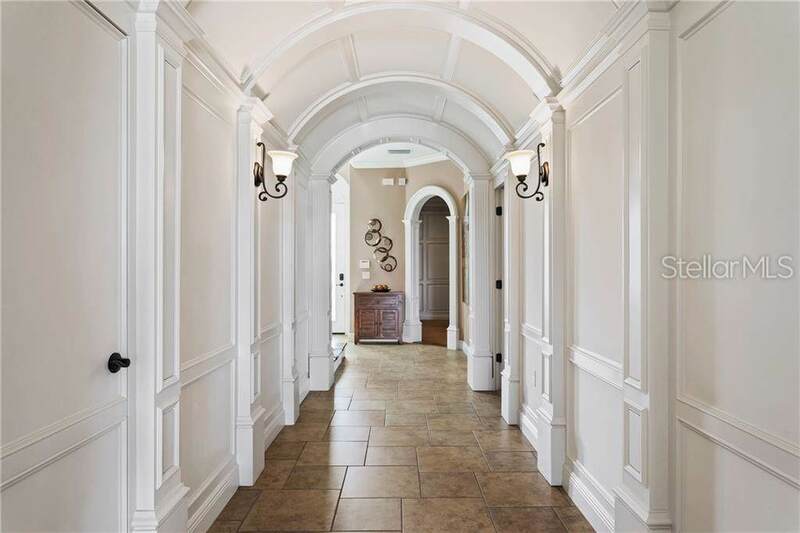 As you enter through the beveled glass front door you will notice the detail of the fully paneled entry hall with handcrafted millwork that seamlessly disguises the doors to the various downstairs rooms. This bright and elegant hallway leads you to the open great room with custom kitchen (solid wood cabinets, built in appliances, oil rubbed bronze fixtures, hand selected granite) and spacious living and dining area that overlooks the private pool and spa with expansive tiled deck area and covered summer kitchen - the perfect indoor-outdoor gathering space. The beautiful paneled media and games room is the ideal place to watch your favorite team, catch a movie or shoot some pool or, if it's solitude and tranquility you are looking for, climb the hand-scraped wood stairs to the cozy loft sitting area. 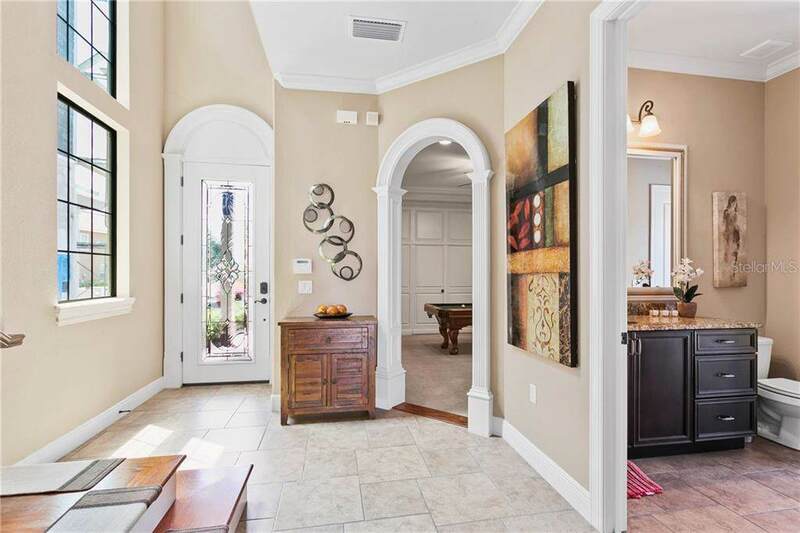 The home is well designed with a full bedroom and bathroom downstairs, twin master suites upstairs - one with private balcony overlooking the pool and golf course - and two additional upstairs bedrooms that share a Jack and Jill bath. All of the elegant FURNISHINGS ARE INCLUDED and the property has an ACTIVE MEMBERSHIP to the Reunion Club amenities - a savings of $8,000 to the next owner. 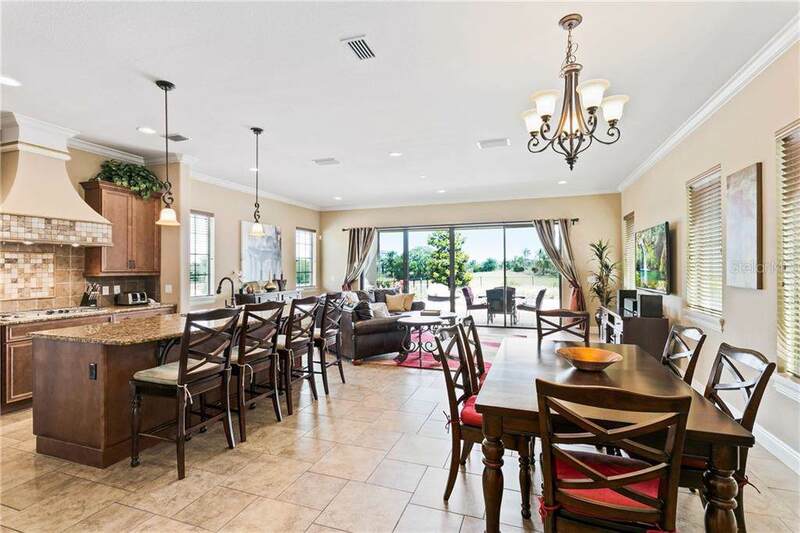 This stunning Florida home is a must see - call your Realtor today.